Yale University offers exciting opportunities for achievement and growth in New Haven, Connecticut. Conveniently located between Boston and New York, New Haven is the creative capital of Connecticut with cultural resources that include three major museums, a critically-acclaimed repertory theater, state-of-the-art concert hall, and world-renowned schools of Architecture, Art, Drama, and Music. Please see below for current employment opportunities with Yale University Press. Search Yale University STARS for current job openings at Yale University Press. Yale University Press offers school-year positions to Yale students. Search the Yale Student Employment portal for available positions posted by Yale University Press. 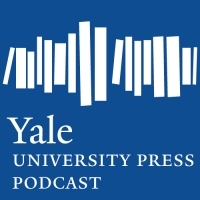 Yale University Press has a limited number of summer internships available for eager, hard-working college students or recent college graduates who would like to gain practical, entry-level experience in the field during the summer months.